Elastic binder with four sewn-in plastic stays provides abdominal and lumbar support. Abdominal, post-natal or post-surgical application. Easy adjustment with contact closure. Latex free. 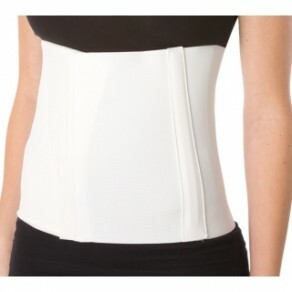 Ideal for providing compression and support for strains and weakness of the abdominal area.